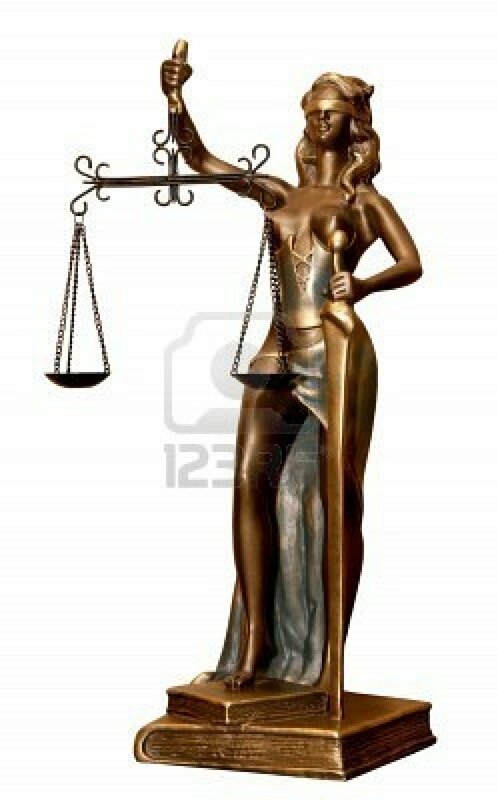 Nemesis, goddess of Justice. Image taken from the internet. In recent weeks, I have noticed that the theme of reconciliation and forgiveness among Cubans is surfacing in various opinion forums. Speakers from various areas as well as alternative digital media –including independent bloggers- seem to pay particular attention to the matter, which points to a general feeling that we are already projecting to conflicts we may have to overcome in the near future, and a consensus on the spirit of harmony that must prevail for the purpose of the dreamed peaceful transition between the different tendencies and interests of Cubans from all shores. Without wishing to close the subject or to presume to offer the magic and perfect solution, I would like to present some personal views on this subject. First, it is necessary to establish clear definitions. According to the Aristos dictionary, to reconcile is for disconnected values to come to an understanding. Coincidentally, in common parlance, to reconcile is to make peace. Note that in any case the meaning involves a disagreement prior to the action of reconciliation. So, in the context of today’s Cuban reality, heir to a long dictatorship, it appears that reconciliation should be resolved primarily between the government and its repressors (the offenders) with the rest of the Cubans (the offended). I say this because, to my knowledge, Cubans here and “out there” have been demonstrating their ability to relate with each other, despite differences for a long time now. Though I don’t want to stretch the point, suffice it to recall a simple detail: the former “unpatriotic-traitor-worms” became the saviors of their “revolutionary” families with their remittances and other aid, as well as the increase in the number of visits to their native land, providing the added benefit that it inevitably implies for the government. Family discord has been contained in many cases, and offenses from either side have been superseded in favor of harmony. On the other hand, in the past two decades, a large number of Cuban families have faced the splintering of emigration without resulting in falling-outs. 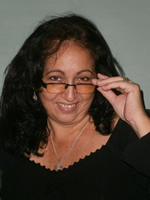 However, I am convinced that many will agree that, by now, far from showing a spirit of harmony with its “governed”, the dictatorship persists in its stubborn entrenchment in the denial of full recognition of all human rights for Cubans, and in the application of repression to try to suppress any manifestation of civic resistance. As far as I’m concerned, I do not conceive a plausible “reconciliation” in those terms, nor do I wish to reconcile with the henchmen. But perhaps the key point is that of “forgiveness”. I must admit I do not share the Christian concept of forgiveness. Moreover, I’m not even Christian, so I don’t lay claim to any supposedly moral superiority or expect any divine rewards. I do not profess any religious faith and do not share in the parable of “turning the other cheek.” Frankly, I would not even offer the first one. These days I have been hearing phrases calling for forgiveness because “we must stop the hate, the spiral of violence, grudges …” etc., etc., and I can’t stop thinking about the thousands and thousands of Cuban families thrown into hatred and resentment from the bastion of power, about a ravaged people, stripped of their wealth and their rights, about the dissimilar humiliations, the lies, the dead in foreign wars, about the missing in the Florida Straits, about those who were shot against the wall, about those who have suffered in prisons, about the UMAP*, about the rapid response brigades, the repudiation rallies, the victims of the tugboat “13 de Marzo” and about the ideological indoctrination of children and adolescents of several generations of Cubans. I ask myself why we should renounce justice in favor of a fraudulent pardon that will not allow us to heal our wounds. I’m not asking for vengeance or summary judgments; no one should take justice into their own hands. I don’t want any more firing squads or lynchings. I prefer to think of a Cuba in which everyone, even the most evil, has a fair trial with all the guarantees, as this government never offered other Cubans. I hope that ours is a nation of citizens and not of savages and vandals, because I could not take pleasure in a republic built on the dispossession of rights of other Cubans, no matter how vile they are. I don’t encourage hatred or rancor either, and I am against all manifestations of violence, but I will argue that crimes must be punished, and that’s why I strongly object to forgiveness, which requires “wiping the slate clean”. Let’s be generous but fair, because the bottom line is that forgiving is forgetting, and too many thistles have been harvested already by the Cuban people, forgetful for their unfortunate tendency to forget. *Military Units to Aid Production or UMAP’s (Unidades Militares para la Ayuda de Producción) were established by the Cuban government in 1965 as a way to eliminate alleged “bourgeois” and “counter-revolutionary” values in the Cuban population. On Saturday, April 21st, 2012, Granma published an angry article on page 3 with the title “Yankee Oligarchical Press was disrespectful to the President of Argentina”. 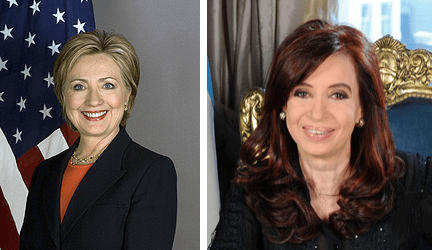 The article restates the opinion of The Wall Street Journal and The Washington Post criticizing Mrs. Cristina Fernández de Kirchner’s decision to nationalize 51% of the shares of the Repsol Oil Company, a subsidiary of the YPF Company. The Wall Street Journal maintains that “Argentina should be taken out of the G-20*** until Fernández has the dignity to behave as a real head of state and not as a bully” and believes that ’”By stealing Repsol, Mrs. Kirchner seeks to take advantage of nationalist sentiments “and to use oil supplies and the media to feed the machinery of political patronage.” Meanwhile, according to Granma, The Washington Post “disrespected Fernández, calling her a populist, and accused her of distancing herself of the economic progress of her neighbors”. (Quotations taken directly from Granma). Despite the limited and out-of-context information, I have the impression that the ones over there are not as mistaken in their considerations about the Argentine president, though, as usual, the most important newspaper of the olive green oligarchy deprives us Cubans on the Island of the opportunity to see with our own eyes the daily publications of the “Yankee financial oligarchy”. Especially as far as “populist” is concerned because, now, as Leopoldo Galtieri did when he was president de facto 20 years ago, with tragic results for the Southern Cone Nation, the arrogant and wholesome Cristina is stirring up nationalist feelings about the issue of the Islas Malvinas (or The Falkland Islands, depending on your point of view) while at the same time she is trying to export the British conflict to all of Latin America. Anyway, it’s likely that I wouldn’t even have noticed such a “Yankee disrespect” highlighted in the Cuban press, were it not that just the day before, on Friday, April 20th, Granma had published a not-at-all friendly article on page 9 about Secretary of State Hillary Clinton, entitled “In the wrong place? Clinton Partying Hardy in Cartagena”, by reporter Pedro de la Hoz, which passes judgment on the fact that 63-year-old Mrs. Clinton had the audacity to drink an “Águila” beer and dance a few salsa steps (rhumba steps, according to the official writer) in no less than a disco club named Havana during her stay in Colombia for the Americas Summit. I do not know about you, but beyond radical political sympathies or considerations, I found pretty funny the image of Hillary enjoying herself. Far from ridicule, as was the obvious intention of the yeoman of the regime, he achieved exactly the opposite effect: a woman who, at the beautiful age of 63 forgets the importance of her public office and allows herself the freedom to enjoy a beer and catch a few Caribbean rhythms cannot but arouse my support. I get the sense of a happy image, and even the acknowledgment of a culture different than hers. I will be 53 this year, and I also like to drink a cold a beer every once in a while and shake my booty to the rhythm of salsa, dammit! That does not make me less respectable, but more human. And let the forever rule-makers, the embittered, the censors and detractors say whatever they please. I just cannot imagine a person so stark and stiff as Kirchner partying, not even at the beat of a lively merengue or a delightful vallenato*, even in an elegant room dancing to the rhythm of a milonga** from the Río La Plata. But I won’t judge her, because not everyone is obligated to dance, but all this reminds me that we don’t have any reference that the Castros have ever moved to the rhythm of a cha-cha or a mambo. At the end of the day, this thing about criticizing the American seems only about musical preferences, because both the Argentinian president and the Caribbean brothers have applauded joyfully at such times when the donkey from Barinas [Hugo Chávez] has taken over microphones and brayed Venezuelan songs. P.S. : For the Venezuelans who read me, I have absolutely no objection against their songs, only against the singer. *** G-20, G20 or Group of Twenty Finance Ministers and Central Bank Governors (also known as the G-20, G20, and Group of Twenty) is a group of finance ministers and central bank governors from 20 major economies. An open letter is circulating around the web these days. The letter was written by cinematographer Ismael de Diego and addressed to Camilla Vallejo, the Chilean communist student who recently visited Cuba as a guest of the Union of Young Communists. Of course, we Cubans don’t know what sources of income the organization might have that allow it to fund invitations to foreigners, but now this comment is not about that … deep down we know that we are the ones who pay. I would subscribe to every point on Ismael’s letter, and would also sign the one that I am duplicating here, which I want to share with you. The referenced document is also an open letter, sent to me via e-mail, directed at General Raúl Castro, Cuba’s so-called president (lower case intentional) by a Cuban doctor residing in Canada, a regular reader of this blog. Since he had posted it on Facebook beforehand, I will assume it’s OK if I post it here. At any rate, I think it’s good to disclose all the abuse and humiliation to which we Cubans are all subjected, both inside and outside the Island, in order to pierce and destroy the false image of justice, democracy and generosity of the Cuban government. 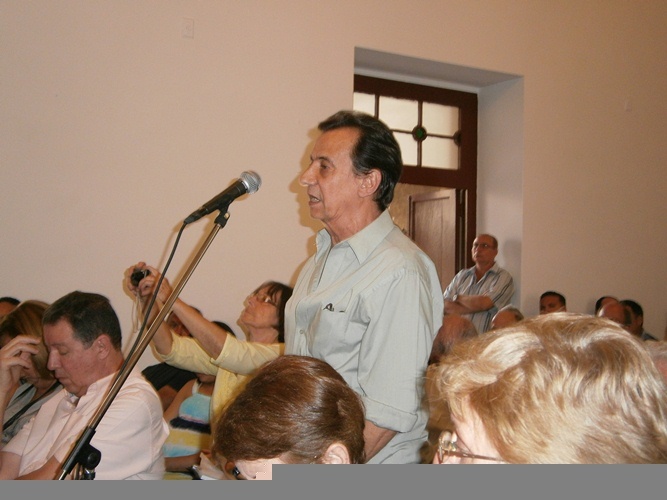 Dr. Rafael Ángel González Pupo has not been allowed to visit Cuba, but businessman Carlos Saladrigas has. All Rafael wants to do is to visit his elderly parents, not to invest money. And, for the record, I support, with all my being, the right of entry of all Cubans to Cuba… and also permission for their departure. 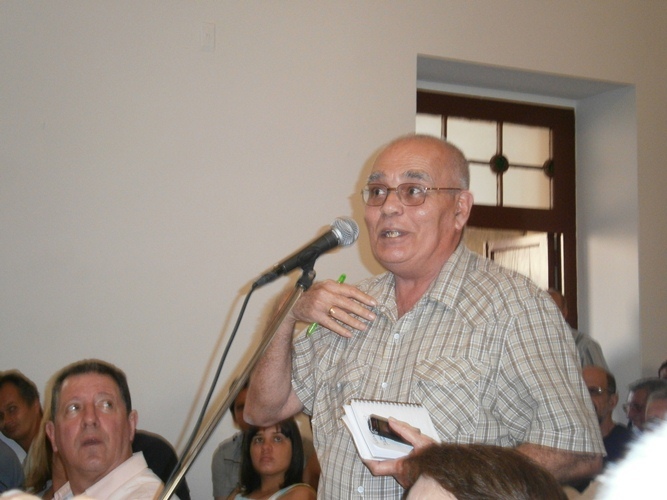 These days spy René González has also been in Cuba, under controlled freedom, while thousands of Cuban exiles have been unable to visit relatives in Cuba over the years. The terrible Empire allowed him to leave the United States for humanitarian reasons. Some time ago I published another letter, similar to Raphael’s, that of a doctor named Osmel. I will never tire of denouncing these events, and I consider it a civic obligation to multiply our claims against government abuses, though it’s clear that humanitarian appeal to a regime like Cuba is to hope in vain. I therefore apologize to Rafael for having taken the liberty to present his case, but this is my way of showing solidarity with him. I respected the structure, grammar and spelling of the original he sent me. Above all, I thank him and Ismael de Diego for asserting their voices in a public and valid way: they fill me with hope for the Cuba I dream about. May all Cubans here and in exile decide to do the same. Increasingly, it is more criminal to remain silent: let’s not become part of the plot. To: Mr. Raúl Castro Ruz, President of the Council of State and Ministers. From: Dr. Rafael González Pupo, a Cuban citizen residing abroad. Subject: Circumstances for entering the country on humanitarian grounds. I am Dr. Rafael A. Pupo González, and I graduated with honors and as a student of exceptional academic performance in 1994, specializing in general and cardiovascular surgery. I served in that capacity at the Hospital Hermanos Ameijeiras from 1999 to 2007. That year, I came to Canada for cardiac surgery training, fully funded by the University of Toronto, and in 2009, at the end of the course, decided not to return to Cuba. My reason? Economic emigration, like so many hundreds of thousands of Cubans who now number 1.5 million living in exile. Exile was once the worst punishment for Cuban emigrants, or those expatriated for political reasons, and today has become the greatest desire of our best citizens…. who are asphyxiated and disillusioned. 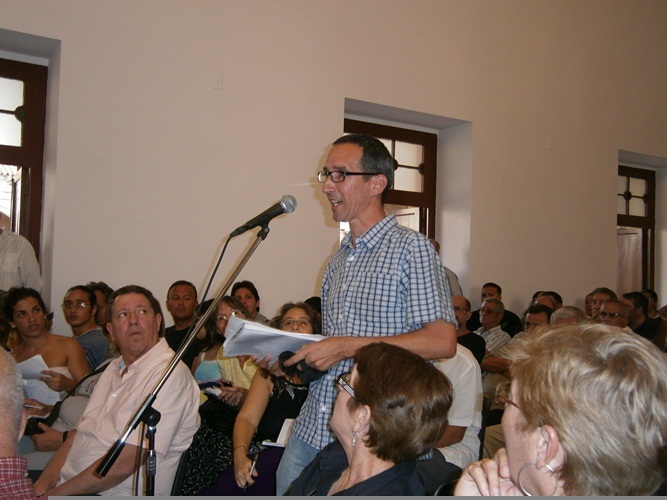 I had a salary equivalent to 20 CUC in Cuba, and that was not sufficient to support our family and my 90 year-old parents, whose only income was 100 pesos a month, and this situation became untenable to me. According to the obsolete, rigid, inhuman and anti-constitutional immigration laws in force, you have denied passport-authorization for me to visit Cuba, my country, the country that belongs to all Cubans and not the private island of the caste in power. Faced with this refusal, His Excellency, Mr. Raúl Delgado Concepción, Consul of the Republic of Cuba in Toronto, explained to me that my family could initiate proceedings for an entry permit on humanitarian grounds, which is negotiated in cases of serious illness or the death of a close family member. My mother died a year ago, and my elderly father is now 94 and very sick. He has prostate neoplasia, ischemic heart disease, aneurysm of the Valsalva sinus, bilateral glaucoma, with loss of vision in one eye and, of course, severe depressive anxiety, because he wishes to see me, his son, before he dies. In accordance with your immigration regulations, my family initiated those efforts in June of 2011. For nine months they applied in the city of Holguín, where they presented their documents, and at the National Emigration Department, and they were told that our request had been sent to a higher level for evaluation, and they were even told to be very patient, because the negotiations could take a year. Logically, we answered that, in that time, a sick person might die, and they replied that, in that instance, we would have to provide them with the death certificate. We ask ourselves if those procedures have such an implicit long delay with the purpose of prolonging our suffering. What objective do undertaking these applications have, created by the same official body that creates false expectations, if, at the end, nothing gets resolved? What humanitarian value do they have? Today, March 21st, 2012, my family visited the National Emigration Department and they were informed that MY ENTRY TO THE COUNTRY HAS BEEN DENIED as of March 14th. When they asked why, they explained that it was because of my status as “deserter” physician, and that I was out of the country for only three years. I ask myself where your humanity is, and what is the treachery against emigrating doctors, when you are the ones who have forced us to take this decision. We continue not to understand so unpleasant a situation. On more than one occasion you, in particular, referring to the peak emigration issue, have indicated that current regulations fulfilled their target in previous decades, that they were established for reasons very different than today’s, and that changing them is currently under consideration. When will those promised changes take place? I want to point out the importance of some of the articles of the Universal Declaration of Human Rights, adopted on December 10th, 1948 by the United Nations, all of which you are in violation of in this case in particular and against the people of Cuba in mass. There are many more. Article 12: No one shall be subjected to arbitrary interference with his privacy, family, home or correspondence, or to attacks upon his honor and reputation. Everyone is entitled to the protection of the law against such interference or attacks. Article 13: Everyone has the right to freedom of movement and residence within the territory of a State. Everyone has the right to leave any country, including his own, and to return to his country. Article 16.3: The family is the natural and fundamental group unit of society and it’s entitled to protection by society and the state. Article 18: Everyone has the right to freedom of thought, conscience and religion: this right includes freedom to change religion or belief, and freedom to manifest religion or belief, individually and collectively, both in public or private, teaching, practice, worship and observance. Article 19: Everyone has the right to freedom of opinion and expression: this right includes freedom to hold opinions without interference and to seek their opinions, receive and impart information and ideas through any media and regardless of frontiers, by any means of expression. Article 22: Everyone, as a member of society, has the right to social security and realization, through national effort and international cooperation in view of the organization and resources of each State, of the economic social and cultural rights indispensable for his dignity and the free development of his personality. Article 23.3: Everyone who works has the right to just and favorable remuneration, ensuring for himself and his family an existence worthy of human dignity, and supplemented, if necessary, by other means of social protection. I am a deserter? I find that description very inappropriate. Knowing that Cuba is a signatory to the Universal Declaration I decided to establish my residence abroad. If Cuba signed these agreements, why, then am I labeled so contemptuously? Why do we have to endure such maltreatment and the violations we are suffering? Is it that, in Cuba, the resolutions dictated by a Ministry are above the constitution and the RIGHTS (recognized by Cuba) under which life is organized in the civilized world? I have not betrayed anyone. I am not a worm. Thinking differently is not a crime, it’s a right. If I am a Cuban citizen, why then do I need an entry permit? Why could I not attend my mother’s funeral? How is it possible for you to deny my humanitarian entry permit to visit my elderly and ailing father, or to cry on my mother’s grave, dead for over a year? I don’t understand how the world’s most “heinous and ruthless” government (the US, according to you) has authorized René González, hero and convicted spy, to visit his sick brother in Cuba under conditional freedom, but you, “the paradigm of human rights” will not allow me to see my father? I have not committed any act of aggression against Cuba. I just wanted to provide our family and my parents the essential resources which I could not acquire while earning a token salary, the token salary of almost 12 million Cubans for 54 years of post-revolution. I believe that political issues should not be mixed with those that are purely humanitarian. I think you have established a regime so inflexible and callous that you have forgotten the real HUMAN reasons the Revolution took place. In order to maintain power at all costs, you have betrayed yourselves and, worse yet, you have betrayed our people. You are like Saturn, devouring his own children, and your destination is the same as all totalitarian regimes: disappearance. Look at yourself in Libya’s, Syria’s or Egypt’s mirror. Why are you waiting to change? Can’t you see that the people are suffering, needing, and in the thrones of death? You have created a monster that is devouring and choking us, but worse than that is that you lost control of your own Frankenstein. Our plea is the same. History will absolve us…. from you. 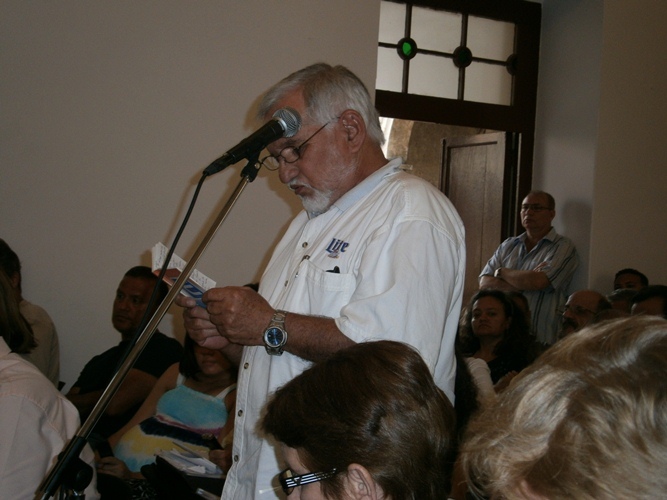 On afternoon of March 30 I had the opportunity to attend the conference held by the Cuba-American businessman and politician, Carlos Saladrigas, in the Felix Varela Chair of the former San Carlos and San Ambrosio Seminary in Old Havana, under the auspices of the magazine Lay Space. Beyond the possibilities of the informal networks to circulate the announcement of this meeting, we must recognize the wide variety of attendees who packed he room and its adjoining gallery, requiring that the doors be kept open so that everyone could participate in the conference and later debate. The atmosphere was quiet and respectful, showing that differences can not only coexist with civility, but are also inseparable from it.Representatives from official sectors — such as academics, university professors, political scientists, etc. 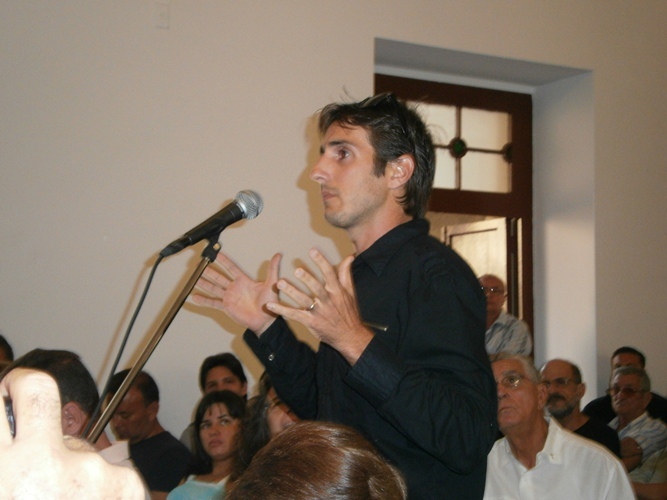 — as well as numerous representatives of independent civil society generally labeled as dissidents or opponents, shared the space and the microphone without our attacking or assaulting each other, and without dismissing or offending each other, evidence that a context of respectful debate is only possible in spaces not controlled by the government. In this regard, we must thank Lay Space for including the actors usually excluded from all public forums on the Island, and who, sadly and with few exceptions, are not commonly guests at events sponsored by religious institutions. Also contributing were other socialists, such as the poet Felix Guerra, calling for “an opportunity” for socialism, as if more than half a century of the destructive experiment of a nation had not been sufficient, and we should be disposed to bet another fifty years to obsolescence and ruin. Felix Sautie demanded the end to criticism, as if all these years of the prohibition of critical opinions has not been a living demonstration of the sickness that can result in a society without critics, or as if someone was sufficiently qualified to establish what, who, where and when questioning is permissible. There was everything, from condemnations of U.S. government policy, to nostalgia for what was the revolutionary project, and there were also references to the families who emigrated. The sentimental touch can never be missing in a meeting between Cubans, especially when — consistent with the eternal lurching of our cheerful fickleness — having families in the diaspora is no longer sinful or shameful (something that never should have happened) and has become a kind of source of legitimacy (which it also shouldn’t be). Perhaps that is why it was so refreshing to hear other proposals, such as that made by friend and colleague Reinaldo Escobar to demand the decriminalization of differences of opinion; or the contribution by the young man who put on the table, among other questions, the urgent need for all Cubans to have access to the Internet and to end government’s prohibitions on the free circulation of information and ideas on the Island. Other young people I don’t know and who, in the heat of the debate, didn’t say their names, also referenced the lack of autonomy for the self-employed who have taken advantage of the “Raul reforms,” as well as the absurdity of putting a limit on the possibilities for prosperity among those who strive to generate their own income. Undoubtedly, intelligent and bold opinions that put a more positive touch on the encounter. Saladrigas, for his part, took a conciliatory, rational and respectful stance, for which he undoubtedly deserves our thanks. However, it was clearly not possible in such a short time and in such a confined space, to reduce the debate in its totality to controversial topic of Cuba and its diaspora, let alone the spectrum of pressing problems currently facing the Cubans. It is hoped that these opportunities for wide and open discussions in a framework of civility and good will multiply in this and other spaces, and in the short term the whole of society will have the opportunity to review, approve or disagree, far beyond ideological principles or political interests. And hopefully, soon, we can also overcome the narrow limits of religious chairs to accede to this major altar of a whole free society: the citizen. Feliz Guerra asked for another opportunity for socialism. Felix Sautie to banish criticism and resentment. Pedro Campos: The employee is the modern slave. 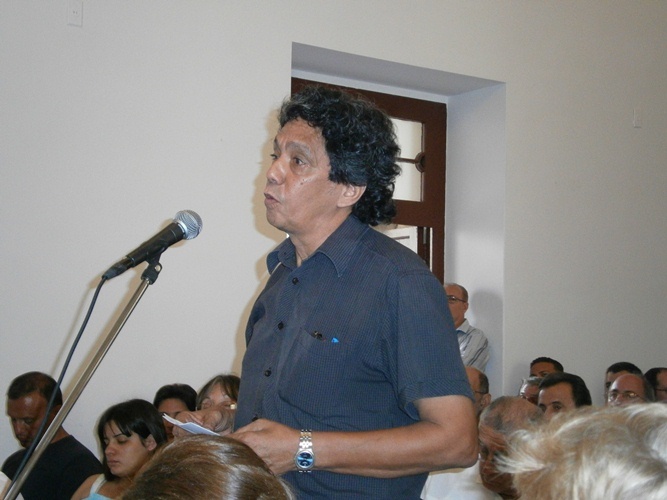 Reinaldo Escobar: Differences of opinion must be decriminalized. Walfrido: The need for Internet access. Another young person’s opinion: Eliminate the limits on personal prosperity in the private sector.